Three Experiences: Just One Ticket! From slavery and secession to the opening shots at Fort Sumter and Bull Run, A New Birth of Freedom, narrated by Morgan Freeman, places you in the midst of the momentous issues of the Civil War, and provides an orientation to the complex battle of Gettysburg. Pickett's Charge &dash; the climactic conclusion of the Battle of Gettysburg - comes to life in this massive circular painting through a spectacular sound and light show. 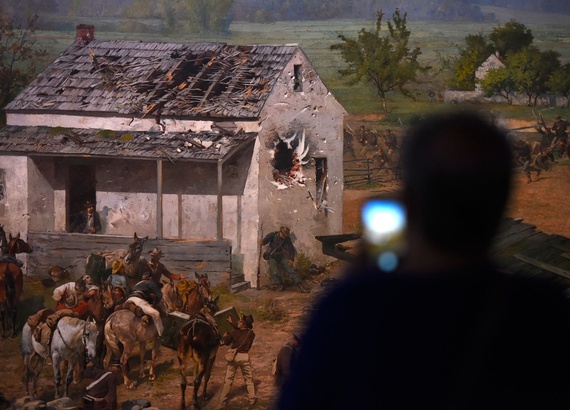 The Gettysburg Museum of the American Civil War is a world-class museum that brings the past to life with one-of-a-kind artifacts, interactive displays, and 9 short films.